Easy Winter Fun for Kids! Looking to have some Wintery Fun with the kids? How to Run a Home Daycare made gorgeous Nature Ice Sculptures. Zayit and Ziva had some fun with Indoor Snow Painting. JDaniel4's Mom made a cute Snowman Craft with her son. 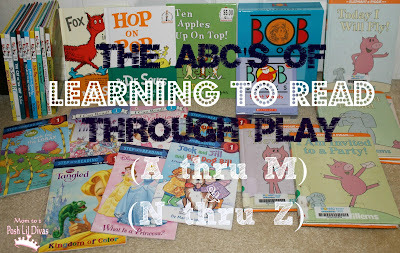 Reading Confetti shared 10 Cool Activities for Kids. 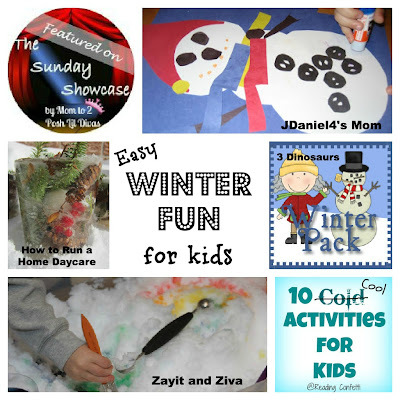 3 Dinosaurs has a FREE Winter Pack of fun printables. Do you have a favorite winter themed activity? 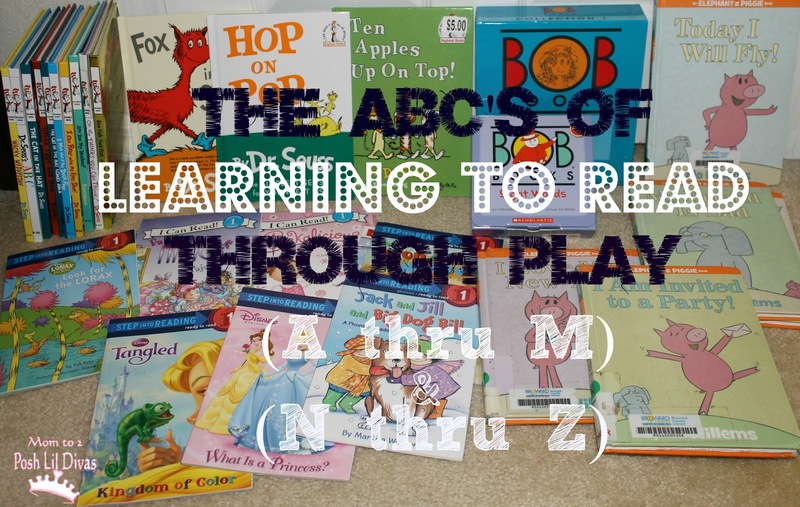 ABC's of Learning to Read Through Play!